Anyone who knows me knows what a HUGE Simpsons fan I am! I grew up watching the Simpsons every week and have always considered them my second family (I’m weird, I know!) 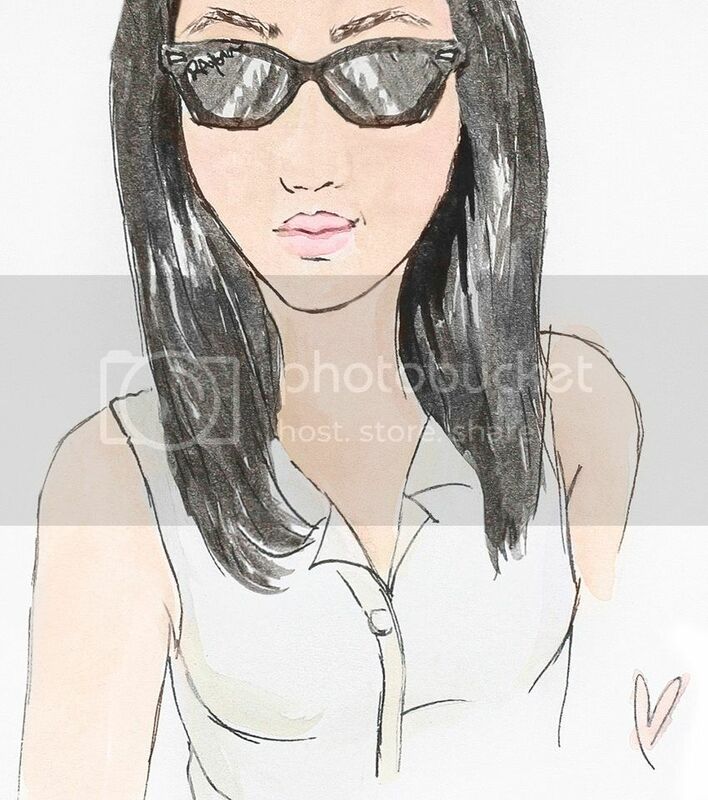 My older sister was born in 1988, the same year the Simpsons debuted, so it’s an ongoing joke in my family every year on her birthday to say “you’re turning (insert age), just like the Simpsons (last year it was “you’re turning 26, just like the Simpsons!) Another family Simpsons connection is the fact that my mom’s name is Lisa (although we’ve called her ‘Lilo’ for as long as I can remember!) So on her birthday we like to sing “Happy Birthday Lisa,” which Michael Jackson famously sung on the show! 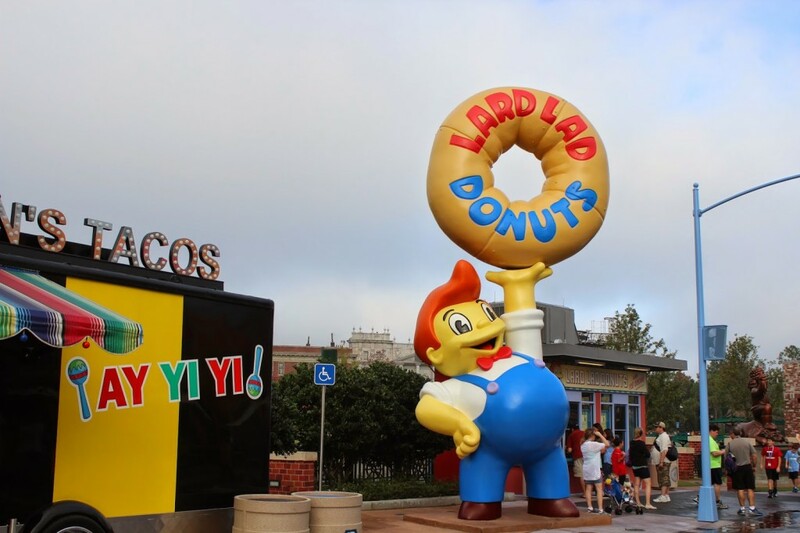 Being such a huge Simpsons fan made visiting Springfield, USA in Universal Orlando that much more AMAZING! Since the Simpsons have been apart of my life for so long, visiting Springfield literally felt like I was waking through my hometown! Words cannot describe how amazing Springfield was! 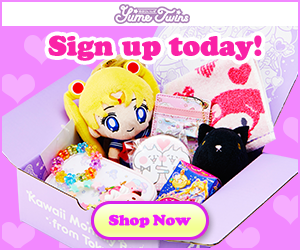 I felt like I was immersed in my own Simpsons episode (how awesome would that be!) Since most people were rushing to make it over to the Wizarding World of Harry Potter before it got too crowded (literally 10 minutes after the parks opened, the ride waits in TWWOHP were 3 hours long?!) 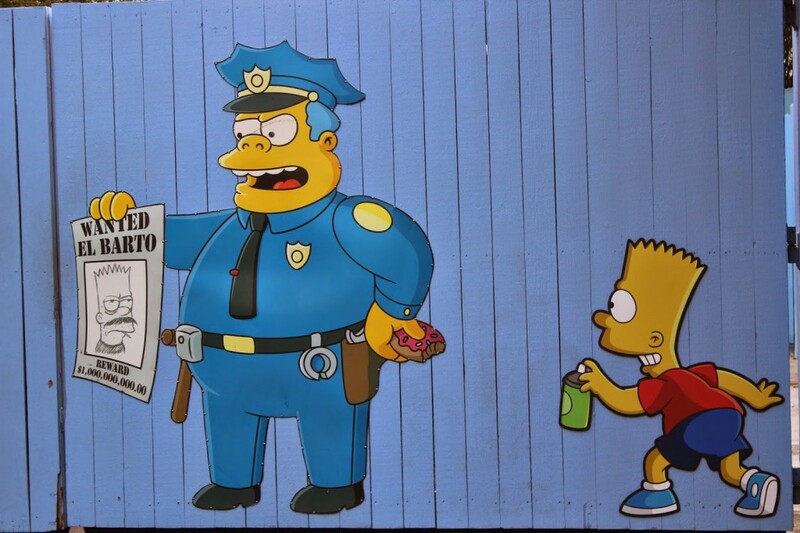 Springfield was mostly empty! 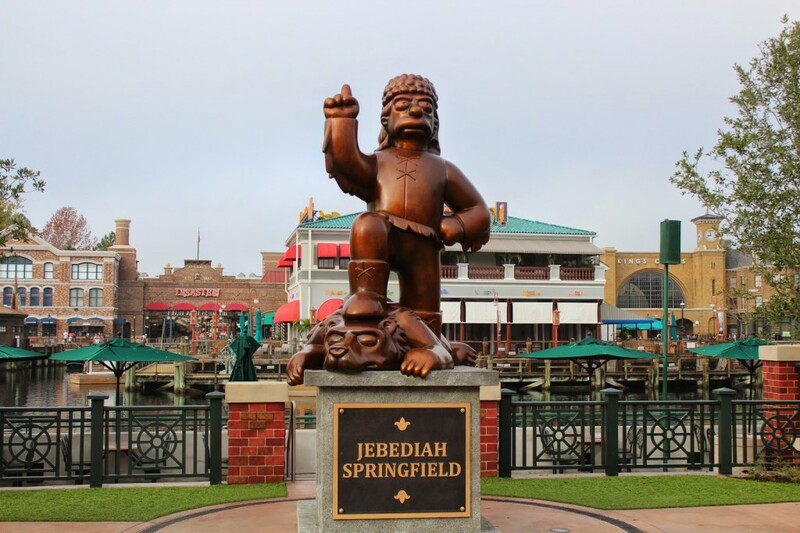 Since the crowds were low, I was really able to take my time and experience all Springfield had to offer! Milhouse is one of my FAVORITE characters (not just on the Simpsons but of all time) so I loved seeing him at the Kwik-E-Mart. 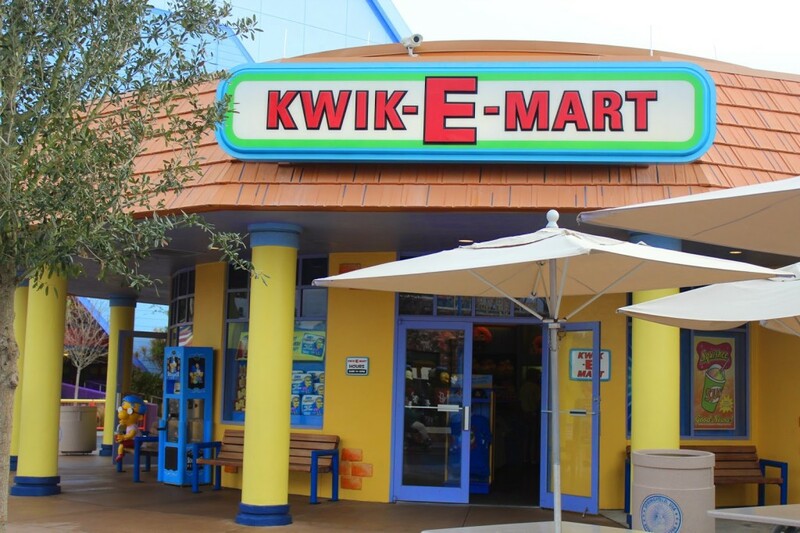 Speaking of the Kwik-E-Mart, it was so cute! It was basically a gift shop filled with Simpsons merchandise (ranging from plush, clothes, food and Simpsons themed accessories!) 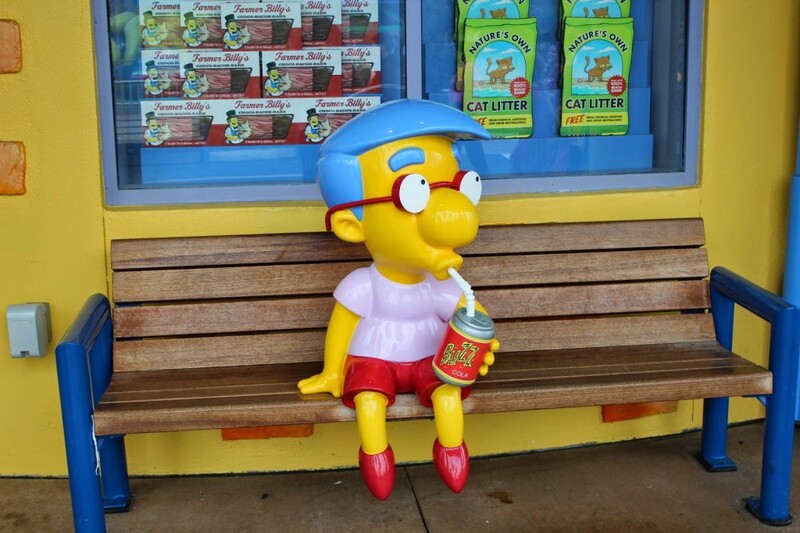 I wish they sold Milhouse plushies (they only had the main family) because I definitely would have bought one! After riding rides and exploring Universal, we ended our trip with dinner in Springfield! 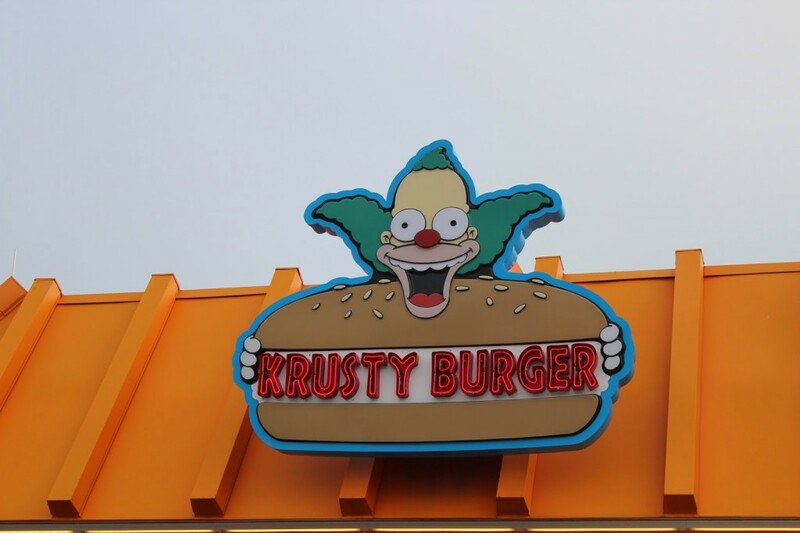 There’s a huge food court in Springfield containing: Lisa’s Teahouse of Horror, Luigi’s Pizza, Cletus’ Chicken Shack, The Frying Dutchman and Krusty Burger! We got a little bit of everything from each of the restaurants so we could really sample what Springfield had to offer. I HIGHLY suggest going to Cletus’ Chicken Shack (the fried chicken was AMAZING!) 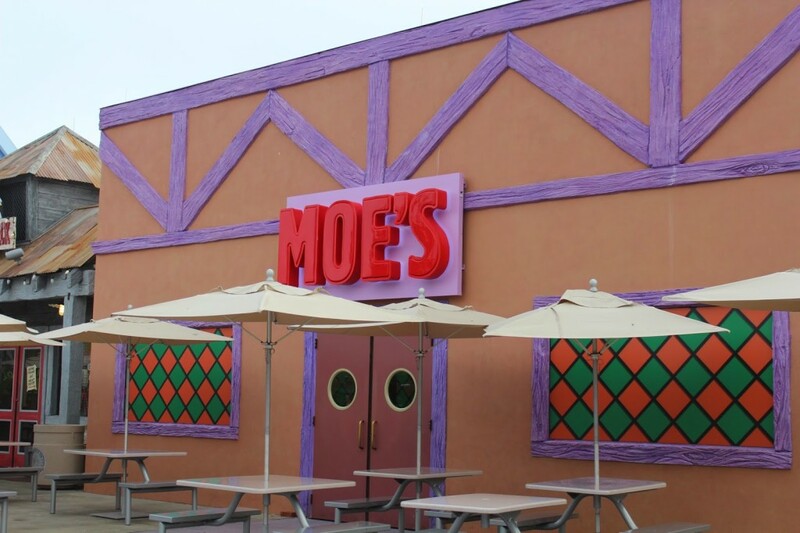 It wouldn’t be a trip to Springfield without a trip to Moe’s! 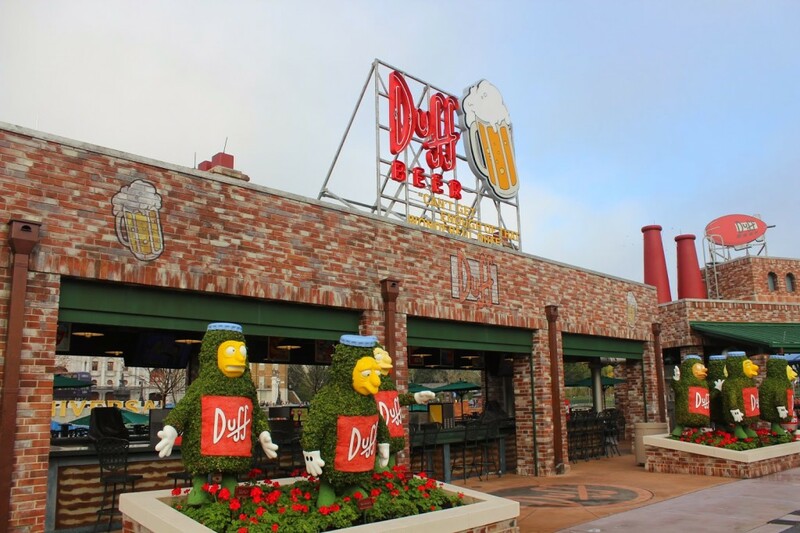 One of the highlight’s of the trip was getting to head over to the Duff Brewery to try some Duff Beer and a Flaming Moe (I surprisingly enjoyed both!) 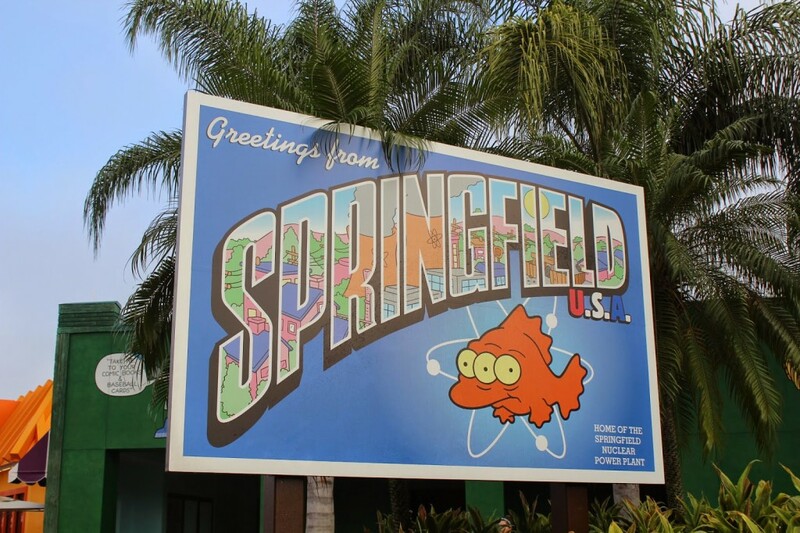 While I don’t have the best relationship with Universal (Team Disney all day,) I think Springfield is something all Simpsons fans should experience at least once! The nostalgia alone was definitely worth the price of admission! 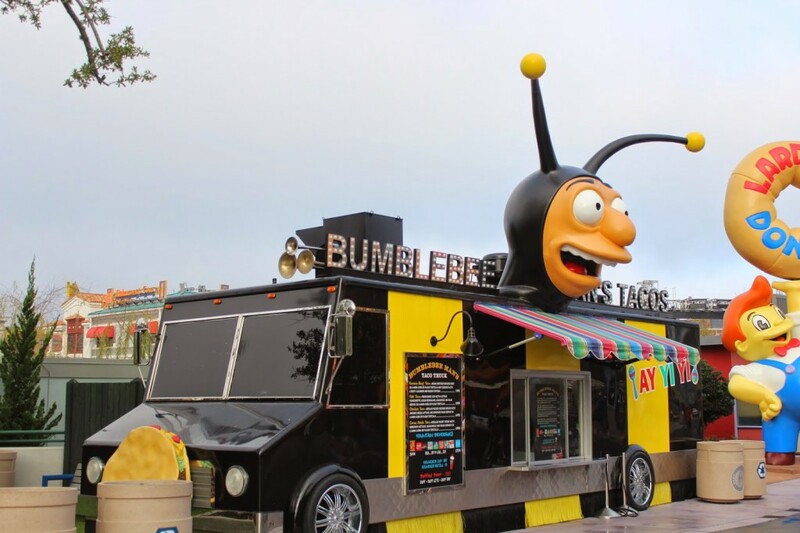 Any Simpsons fans out there? 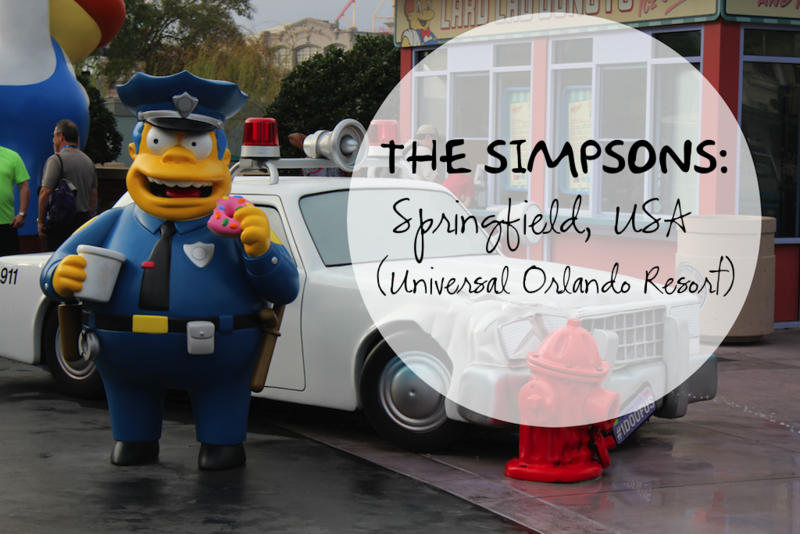 Have you ever visited Universal Orlando Resort’s Springfield, U.S.A?